At 9Round, we offer a kickboxing-themed fitness program that incorporates functional, interval, cardiovascular, and circuit training regimens. The programs consist of a proprietary system of nine challenging workout stations developed by a professional fighter. And, our business plans are as easy to follow as our workouts. The convenient circuit model only requires 1,200 - 1,500 sq. ft. Become a 9Round owner while maintaining your current job or occupation. This model creates a close partnership between owner and manager to create a successful club experience for members and return on investment for both owner and manager. Own and operate your own 9Round club. This model is perfect for you if you are a passionate entrepreneur who is ready to wake up and do what you love—making people stronger and crushing business goals along the way. Whether you’re an owner-operator or a semi-absentee owner, our proven franchise coaches get you up and running and support you as your membership grows. 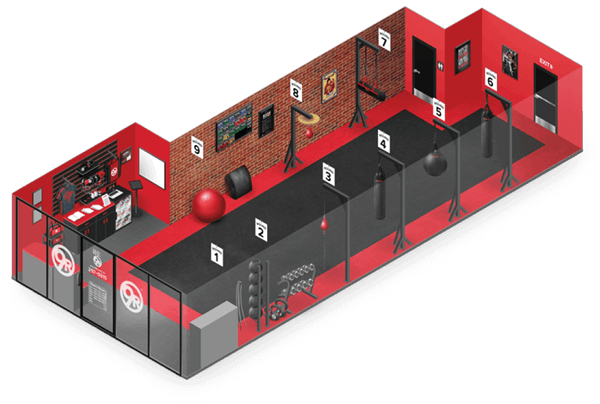 We help you select the ideal site and negotiate the lease for your new 9Round club. We help you through the entire build-out process, including computerized layouts, build-out manuals, and more. Introductory online course to prepare you for everything you’ll need to know before coming to Training Camp. Proven 9Round marketing campaigns create buzz around your new gym and ensure success from day one. Outfit your gym with 9Round’s tried-and-true, quality equipment. Four day Training Camp at 9Round World HQ to equip you with all the knowledge you need to succeed. Use proven tools and campaigns to help you grow. Email and text marketing platforms, seasonal marketing and social media campaigns. Fresh daily workouts from the 9Round Home Office are delivered straight to your inbox to ensure quality workouts that will keep your members excited, engaged and beating goals. 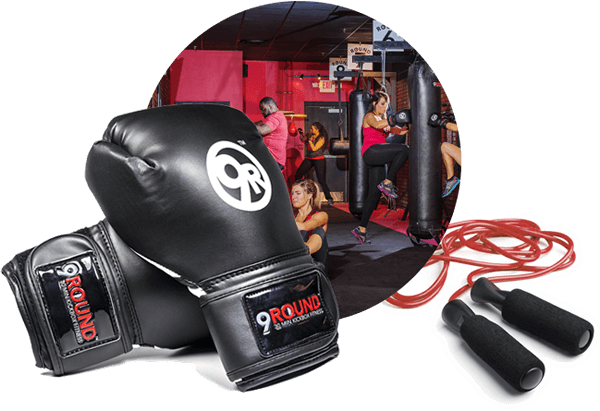 Get 9Round's powerful PULSE heart rate technology to increase engagement among your members. Utilize 9Round's simple yet powerful platform to manage your members and track your franchise growth. Help your trainers master their skills and hone their knowledge to better serve your members. Collaborate with other franchise owners, attend educational seminars and learn about 9Round's latest and greatest at our annual world convention. The 9Round fitness franchise is a specialized fitness center dedicated to serving clients who want a unique, fun, and proven workout that guarantees results. Our proven business methods offer a blueprint for success. Fitness is a $30 billion industry. The 30-minute circuit training concept allows members to work out, even with a busy schedule. Our turn-key system makes it simple to own and operate. 9Round is designed to turn passionate people into successful bussiness owners. It's your turn. Become part of one of the fastest growing fitness franchises. Take the next step towards opening your own 9Round club. Fill out the form and we’ll get back to you before the bell rings. Please call Larry Sagal directly at (843) 879-2392. 9Round 30 Min Kickbox Fitness is currently accepting inquiries from the following states: Alabama, Arizona, Arkansas, California, Colorado, Connecticut, Delaware, Florida, Georgia, Idaho, Illinois, Indiana, Iowa, Kansas, Kentucky, Louisiana, Maine, Maryland, Massachusetts, Michigan, Minnesota, Mississippi, Missouri, Montana, Nebraska, Nevada, New Hampshire, New Jersey, New Mexico, North Carolina, North Dakota, Ohio, Oklahoma, Oregon, Pennsylvania, Rhode Island, South Carolina, South Dakota, Tennessee, Texas, Utah, Vermont, Virginia, Washington, D.C., West Virginia, Wisconsin, Wyoming.